How does saffi eriksdotter work with cards that exile upon dying do to their own triggered ability? does grazing kelpie, melira and phyrexian altar go infinite? Can I sacrifice a Creature for multiple purposes? 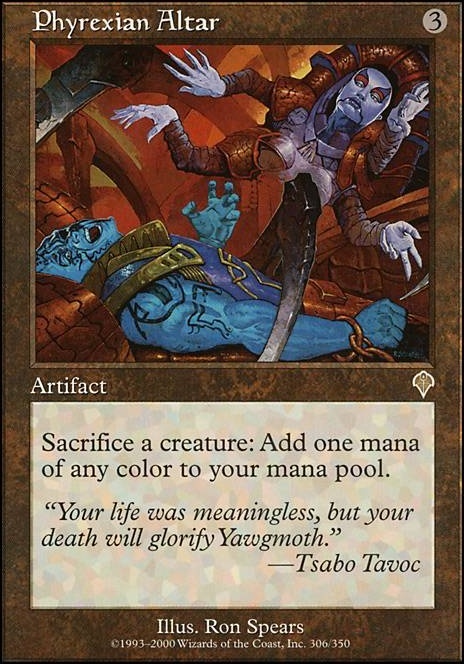 Sacrifice a creature: Gain one mana of any colour. Merciless Executioner Plaguecrafter etc. Give you a double trigger and you can sacrifice them to their own ability Or sac a token and save them for blocking. 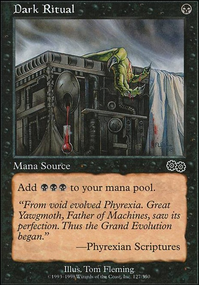 Get a Blasting Station to add extra value damage Ashnod's Altar Phyrexian Altar probably a total of 6 to 8 sac outlets. Pitiless Plunderer for more mana. 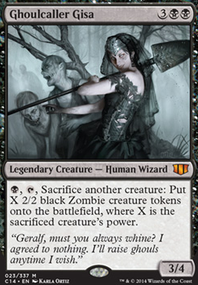 Green ramp spells, Blood Artist , Zulaport Cutthroat Vindictive Vampire Falkenrath Noble to drain and gain life. Whisper, Blood Liturgist and Hell's Caretaker are great sac/recursion. some creatures that etb and give you creatures tokens, such as Sengir Autocrat . 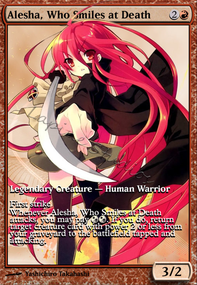 Sanguine Bond if you want to further capitalize on the life gain. Torment of Hailfire to kick em while they are down. Smothering Abomination Sifter of Skulls Razaketh, the Foulblooded and that is mostly just the black part of the deck. 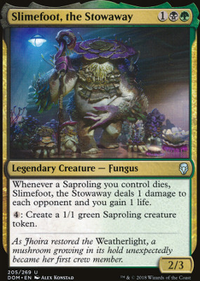 The nice thing about Golgari is that there are a great deal of synergies between the legendary and dual coloured creatures to a point where a lot of them are playable in each other’s decks and when you sac a creature of both colours you receive both benefits from savra. A life gain sub theme or mass resurrection are both decent approaches. Buried Alive and Entomb are great! Well I’m sure that you probably were aware of most of these cards but hopefully these are useful to you. I will check back later to see who you chose as a commander. Cheers. I feel like Intruder Alarm and some mana dorks(myr?) might go visciously infinite with Oona. Not sure if that is competitive enough for you. Even if you had any combination of Phyrexian Altar or Ashnod's Altar with Pitiless Plunderer and Intruder Alarm some mana dorks and could generate tokens with oona you go infinite I think. Or something in that neighbourhood. Great build! I put together a Balthor the Defiled recently but in no way a cEDH, mostly based on lots of mana and Morality Shift to dump my library in the graveyard and activating Balthor the Defiled with Grey Merchant of Asphodel to finish things off. I think I'm gonna make use of the Nether Traitor + Pawn of Ulamog + Phyrexian Altar for mana and Praetor's Grasp + Xiahou Dun, the One-Eyed to finish things off. I also will likely keep those tools for a soon-to-come WUBRG hidden Commander deck! Ok, better late than never. Illusionist's Bracers - Works like doubling season when equipped/used by Ghave. Utopia Mycon - budget option for Earthcraft and either/both are insane here. 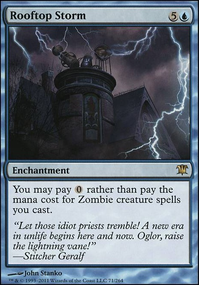 I'd also work on replacing Diabolic Tutor with Diabolic Intent while it's still reasonably priced. No idea on your budget, but here's a few more expensive options you should save up for if they aren't options now. Doubling Season , Phyrexian Altar , Enlightened Tutor , and Aura Shards . Replenish and Academy Rector too if you manage to find 'em. Sadly Ghave is an expensive deck to upgrade and make more competitive. 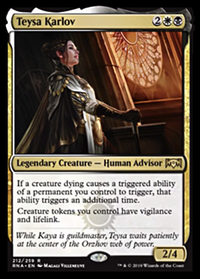 You have a good frame for your commander, but your mana curve is broken. Focus on the fact that you can use your commander's ability over and over. I would cut some of your higher end cmc goodstuff for cheap creatures and or token gen and put in sac outlets Ashnod's Altar and Phyrexian Altar would be good ways to get your commander through to the end game. 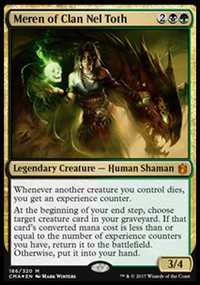 Buried Alive , Dread Summons , Altar of Dementia , and Entomb could be good options to help fill graveyards with targets for Scarab or to help find cards that reanimate themselves, like Gravecrawler. Speaking of Gravecrawler, if you wanted an infinite combo, you could run Phyrexian Altar to combo with Gravecrawler and Diregraf Captain/Altar of the Brood/Plaguebelcher. I'd probably cut Mastermind's Acquisition unless your playgroup is OK with you pulling in cards from outside of the game or a "wishboard". I'd also cut Doom Blade for Fleshbag Marauder , to help you interact more against hexproof/indestructible creatures. Plus, it's a zombie. 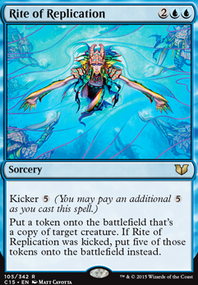 You might also want to run a bit more manarocks to ensure you can play your more expensive spells or get more Scarab activations per turn cycle. Overall, the deck looks pretty good and I've been considering building Scarab for a while, and this is pretty similar to what I'd build.